The Zaporizhia Automobile Plant in Ukraine has been producing cars under the ZAZ brand since 1960. They’ve also built cars from other manufacturers for local sale and built some heavy trucks and buses as well. Zaporozhets were a series of microcars produced between 1960 and 1994, with the ZAZ-965 built in two series between 1960 and 1969. This car is listed in the catalog as a 1969 965. 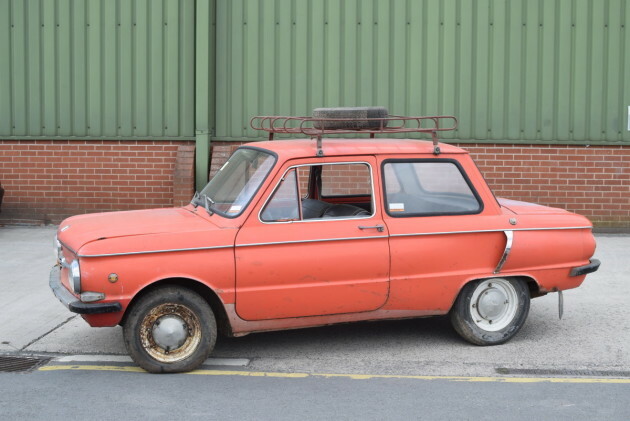 But the 1969 model was actually the ZAZ-965A. It’s powered by a rear-mounted 887cc V-4 capable of 27 horsepower. When production ended in 1969, 322,116 examples of all types had been built. This car was imported to the U.K. from Lithuania and is all-original. You can read more here. The SMZ was a microcar built in Russia and between 1970 and 1997 they built a car called the S-3d – this. 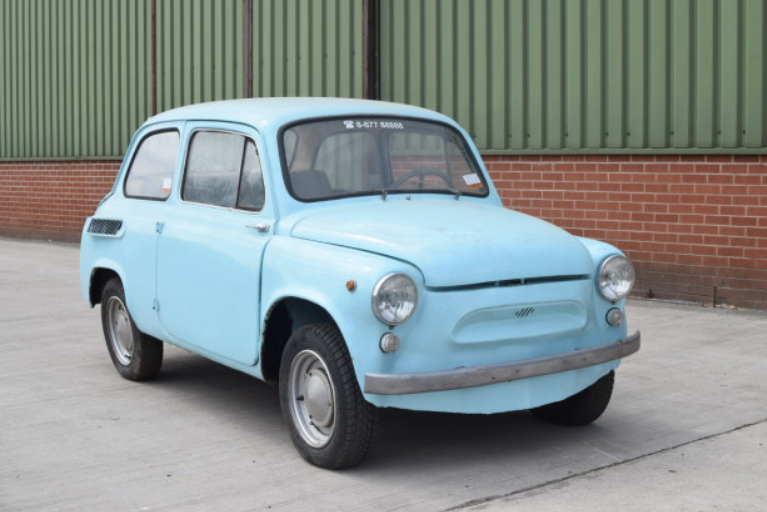 Based on the ZAZ 695, it features a 346cc single-cylinder engine from an earlier model. Designed as a car for invalids, this car was technically classified as a motorcycle in Russia. They built 223,051 of these – quite a lot – but they still aren’t that common. This original example was imported into the U.K. from Lithuania in 2016 and will sell at no reserve. Click here for more from Brightwells. Here’s another Lithuanian import into the U.K. from the same collection. It’s another Zaporozhets, but slightly larger than the ZAZ-965. The “second generation” of these cars were introduced in 1966 as the ZAZ-966. It would evolve into the ZAZ-968 in 1971 and this model would last through 1980, while the later 968M would last through 1994. Power here is from a 1.2-liter V4 capable of 30 horsepower. The 968A was actually built between 1973 and 1980 and had some safety improvements, like a plastic dashboard instead of a metal one designed for maximum carnage. This one is also no reserve. Click here for more info. 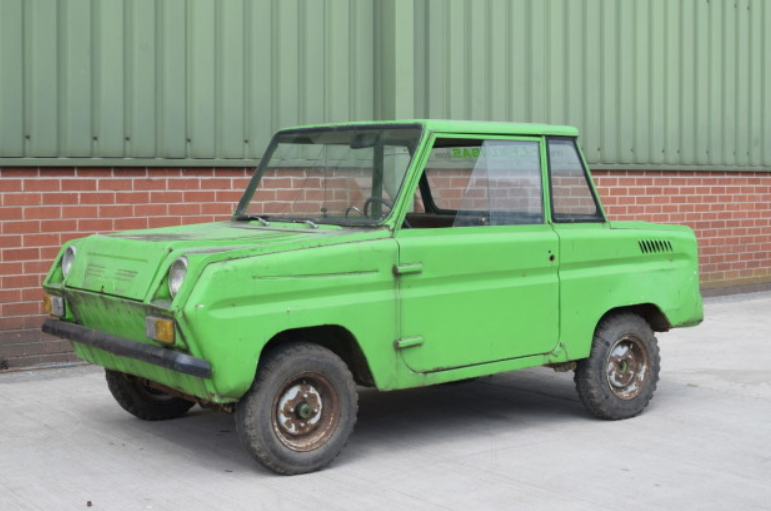 This entry was posted in Uncategorized and tagged 1967, 1969, 1987, 965, 965a, 968a, auctions, brightwells, cars, classic cars, invalidka, microcars, s-3d, smz, zaz, zaz-968a by classiccarweekly. Bookmark the permalink.